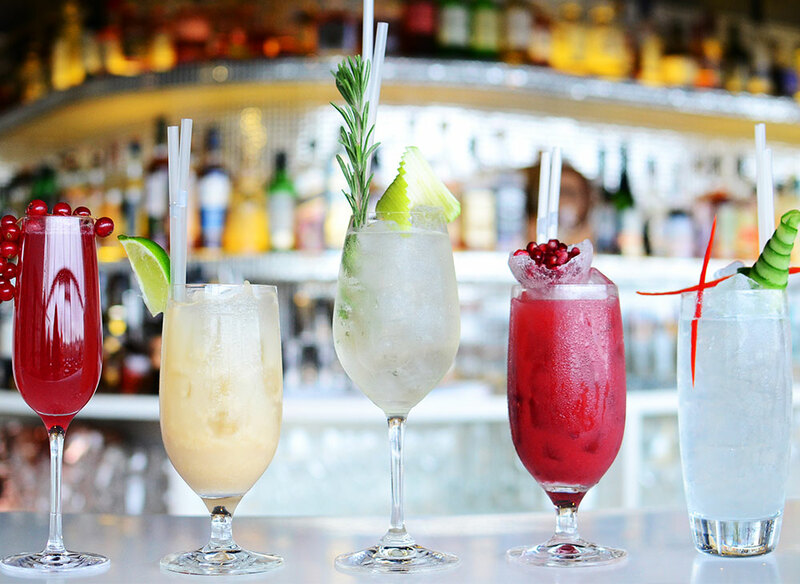 Sometimes it’s nice to have a night off the sauce, so the OXO Tower Bar mixologists have developed a range of non-alcoholic cocktails that are guaranteed to keep you in the party spirit long into the evening (and have you waking up feeling refreshed, too). From the Cinnamon Banana Colada – shaking things up with banana, pineapple, cinnamon and coconut – to our Seeds of Change cocktail – combining raspberries, pomegranate and guava juice – and not forgetting the lychee, lime and coconut Oriental Chill cocktail, these mischievous mocktails will have you converted in no time. We also have a zero proof, non-alcoholic tipple with green fruit notes and sophisticated botanical flavours, Thomas & Evans, if you fancy something refreshing alongside your meal.